Tboss might not win the popular votes, but she might just win the right number of votes to clinch the 25 million Naira. TBoss has a strong chance of winning the 25million Naira and the SUV as the reality TV show draws closer to its end. Over the past few weeks, TBoss has been the most disliked, the most criticized and the most despised. Like Donald Trump, she might not have the popular vote which Efe and Bisola can boast of but she might have enough votes if the fans of the others become complacent. She has been nominated more than 7 times for eviction by her fellow housemates, but made it to the final, unlike Bally. First of all Big Brother Naija fans warmed up to her when she exposed her breasts for the world to see. None of the others divide opinions like TBoss does for fans, foes and keen observers of the show. She has been accused of evicting all the boys with her kisses; we have also heard how the duvet with which she sleeps is cursed. We have also heard claims that Big Brother has a crush on her and has kept her on the show. The growth of the haters has also brought about an increase in the number of lovers - Yes Tboss has managed to convert both males and females from her fans to lovers. Agan like Donald Trump she speaks the minds of others and says what others are too scared to think of. 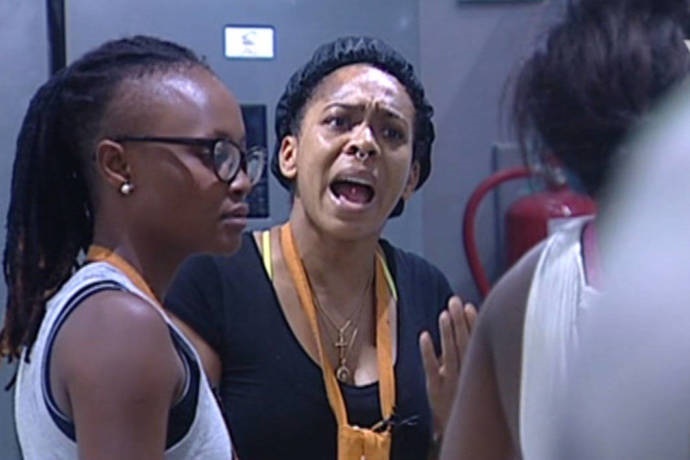 TBoss who claims she is too sensitive has gotten into a lot of fights with people in the house, that has also endeared new fans and won her some sympathy along the way. At the end of the day, Tboss might just be the most marketable of the other housemates. She is pretty and is an expert in manipulating situations.